If you see a dark-green silhouette that streaks through the sky like a super-fast jet, what should you do? Quick! Give him a wave. 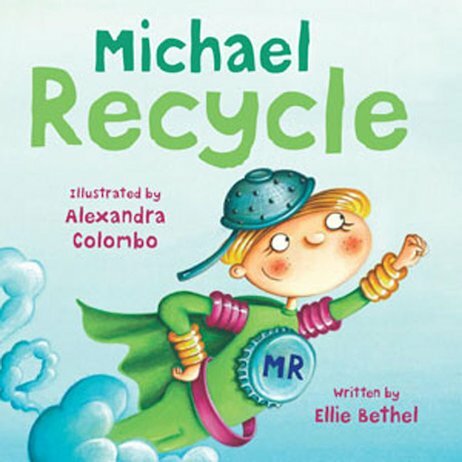 It’s Michael Recycle – strong, proud, green and brave! 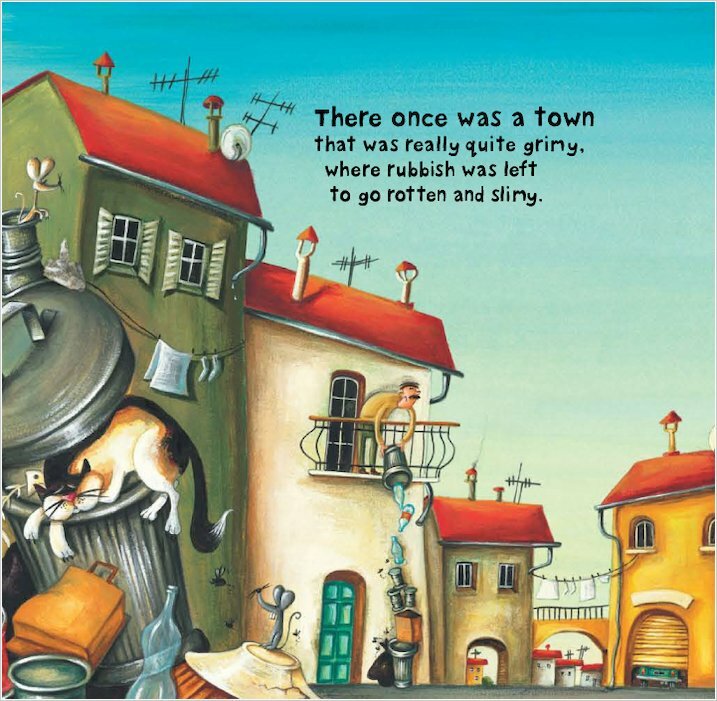 This hilarious rhyme tells how pint-sized eco-warrior Michael Recycle arrived at a town that was stinky and smelly, and showed the lazy people who lived there how to make it clean and nice again. 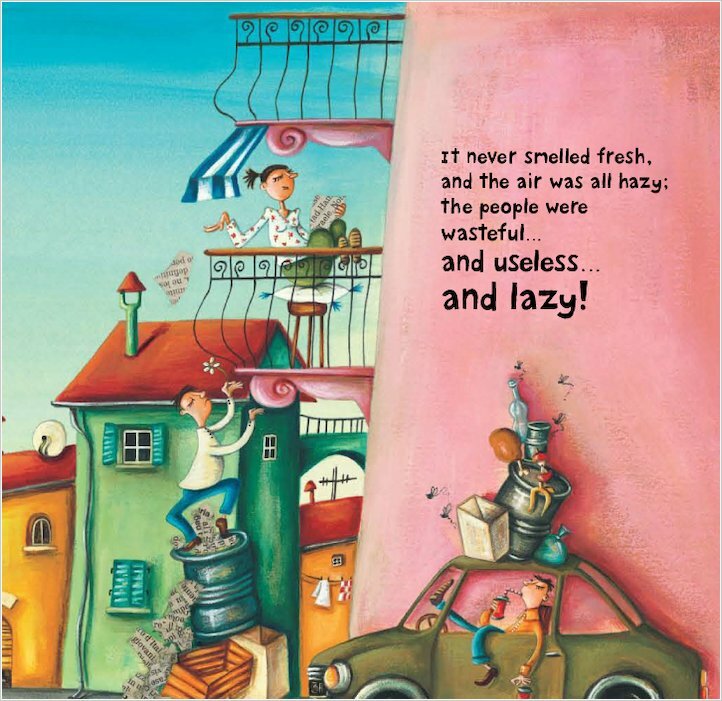 They learned to reduce, re-use and recycle, and soon life was better for everyone! 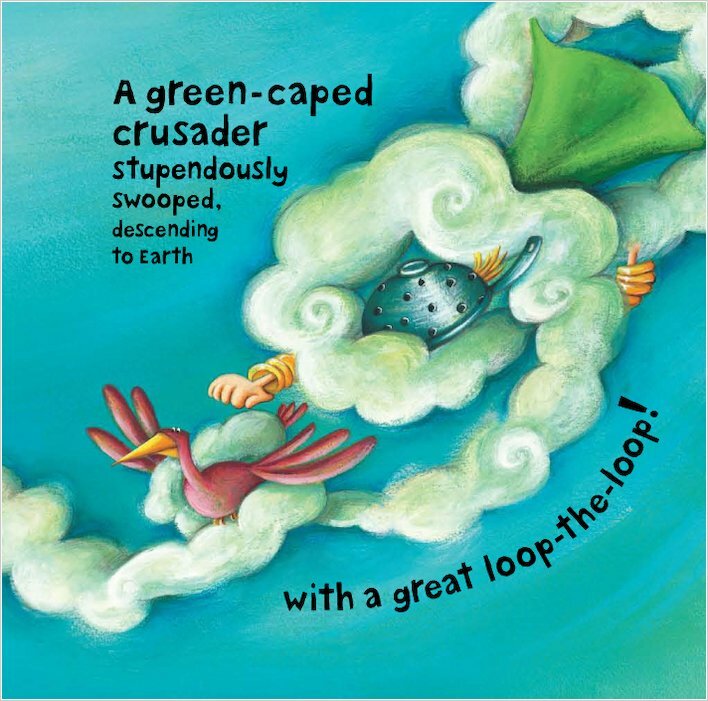 Can YOU follow Michael Recycle, and help to save the world too? 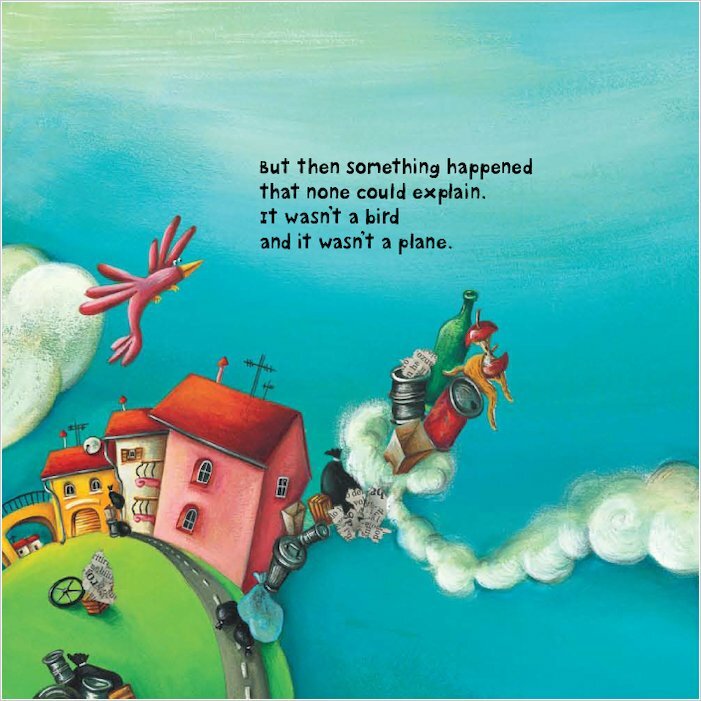 I am reading this in school great book!